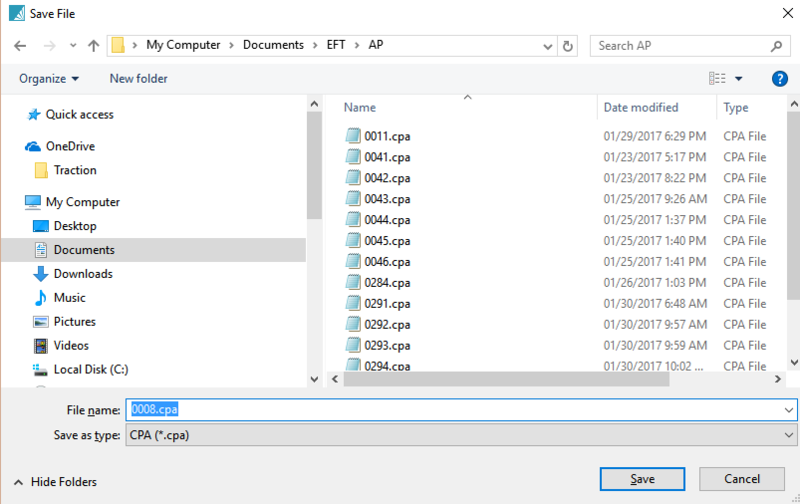 When processing payables from batch mode the user can select EFT as the payment method to create a CPA1464, also known as a “005” file for upload to the bank. When the post button is clicked the user will be asked where to save the payment file. Once saved it can be uploaded to the bank. No cheque will be printed. 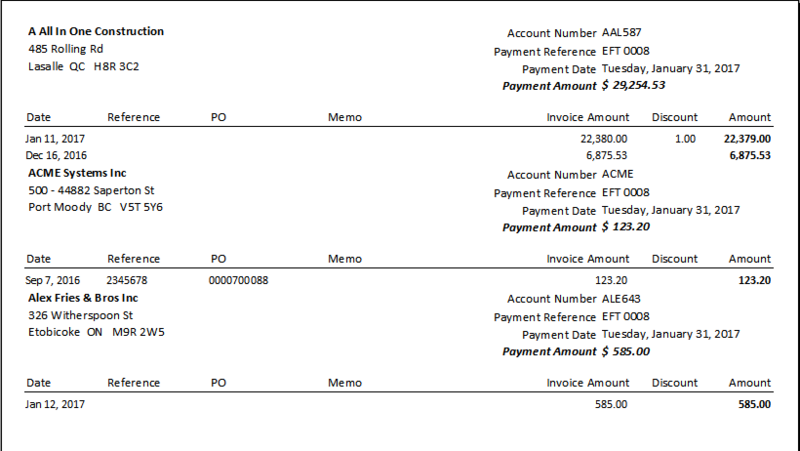 A report can be printed to accompany the EFT and when emailed, it will email-merge a copy of each of the vendors portion to them just like a cheque stub, so they know what has been paid.